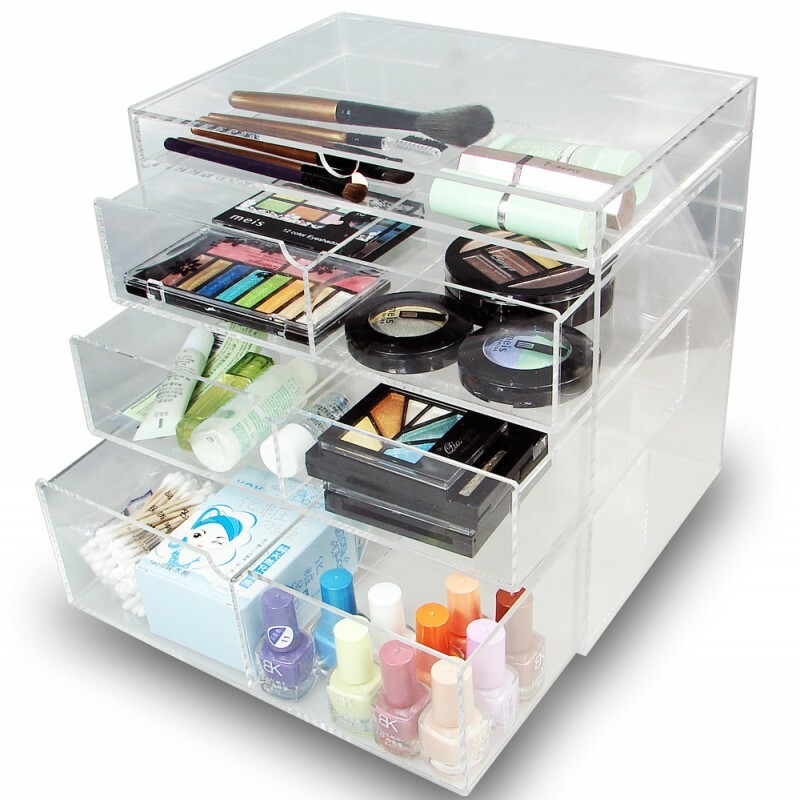 New Year's Resolution: Be more organized! Start 2017 right with a mess-free jewelry and cosmetics collection. If you own a lot of jewelry, just keeping them inside the dresser with your underwear and other clothing is a big no-no. There's a risk of losing one earring or ending up with tangled necklaces. Same goes for make-up; keeping all of them in just one place will make it hard for you to pick It's time to make a change; make it a goal to keep your jewelry pieces and make-up organized all year round! The new year is a fresh start for everything. Start with organizing your jewelry and cosmetics collection with some of our new arrivals. The Metal Jewelry Display Jewelry Stand Hanger is the perfect organizer for your necklaces and bangles. Its overall dimension is 9 1/2"W x 3 7/8"D x 12"H and comes with a 8 1/2"W x 3 7/8" x 3/4"H sized tray. The base tray boasts a feminine light gray floral pattern while the bars are painted in gold. 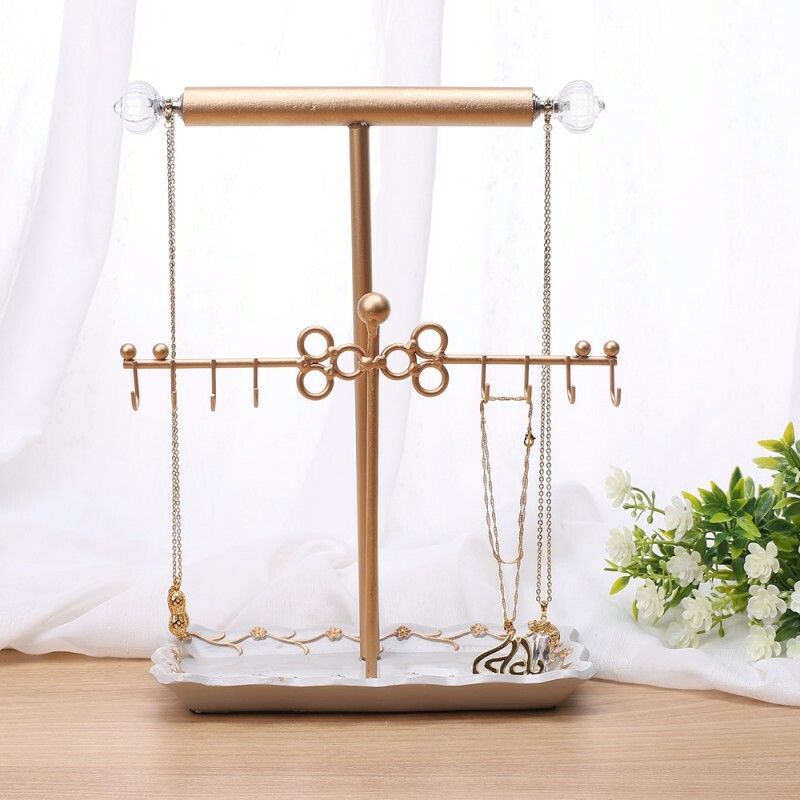 The T-bar and hooks allow for easy viewing of all your jewelry collection/ Although made for necklaces and bangles, you can also place earrings, rings, and pins on the tray. Ring and earrings have the higher risk of getting lost or misplaced because of their sizes. To avoid these from happening, it's best to place them on a jewelry stand. 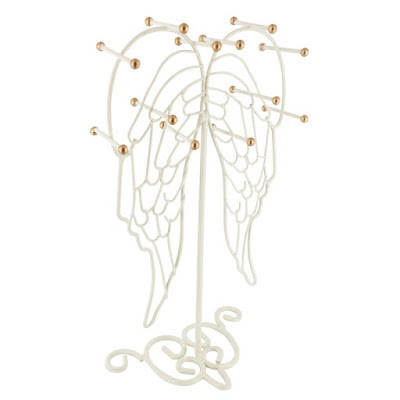 This Metal Jewelry Display Jewelry Stand Hanger is perfect for the little trinkets. Its overall dimension is 6 1/2" W x 4"D x 11 3/4. 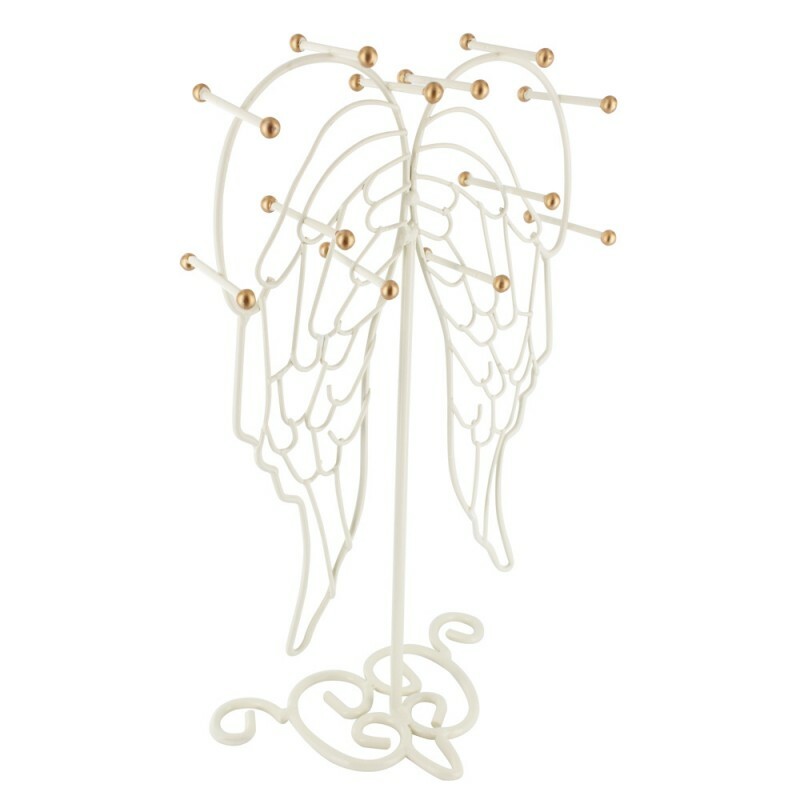 Its angel wing design makes it unique from the traditional jewelry display. The sturdy metal is painted with a chic off-white coat, and the ends of the bars are painted in an elegant gold color. Hang your pairs of earrings and rings, and easily get your favorite piece without having to dig through your drawers. Just like bangles and bracelets, watches need to be stored properly too. This Leatherette Watch Storage Case is ideal for those who own two or more timepieces. It measures 8 3/8" wide x 3 1/4" diameter. It boasts a unique roll-able feature which makes it great for travel too. It fits pieces up to 50 mm in width. 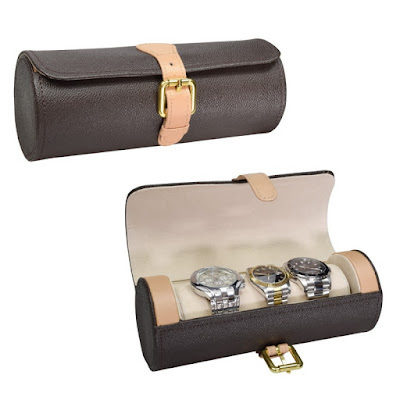 This Leatherette Watch Storage Case comes in black and brown colors. To avoid spilling products or breaking make-up pencils, keep them in a box drawer. This Acrylic Cosmetics Organizer Holder Box is the best organizer for those who own a lot of beauty products. Its overall dimension is 10"W x 7"D x 9 1/4"H, which is big enough to fit your stuff. The holder box also has four drawers which are all removable for easy cleaning. If you love contouring and own a whole lot of different makeup brushes, you need a separate holder for all of them. 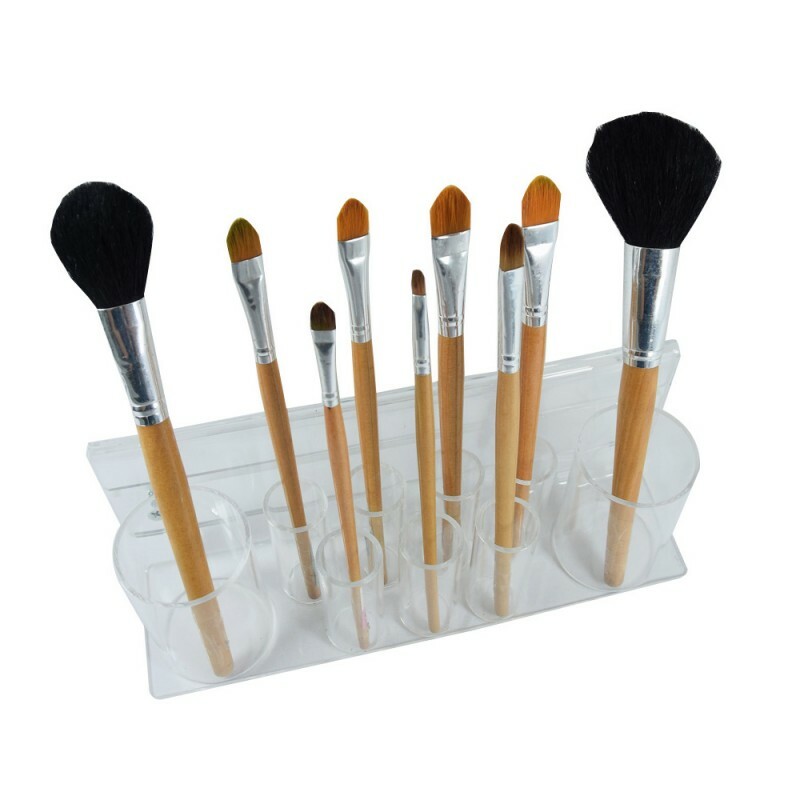 The Acrylic Brushes Holder is the ideal organizer for you. You can also place your other make-up tools, such as eye pencils, mascara, and eyelash curler. It's made of premium quality acrylic and doesn't break easily. Its shatter resistance feature avoids injury and damage. The Acrylic Brushes Holder's overall dimension is 9 3/8"W x 2 1/2"D x 3 1/2." It comes with screws but can be easily assembled. Nail polish bottles are small and light and have a higher risk of falling off the table. To avoid this from happening, they should be properly stored. Drawers do no good too, as they roll over to the end of the box when opening the drawer. To solve this problem, you need to get yourself the Acrylic Nail Polish Rack. It's made to lean against the wall and has two holes for easy mounting. The rack's overall dimension is 10 1/4"W x 1 3/4"D x 17"H and has four levels. 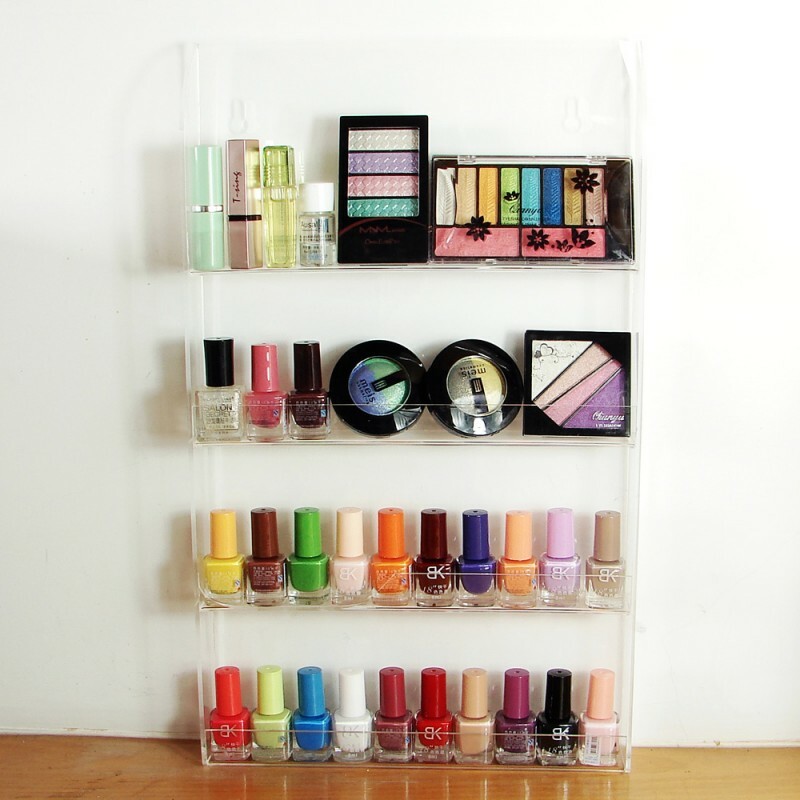 The Acrylic Nail Polish Rack is big enough to hold 30-40 nail polish bottles. Want to see more new arrivals? Browse the shop for more organizers and displays!